Join the party! Graduation is such a big day, everyone needs to celebrate. 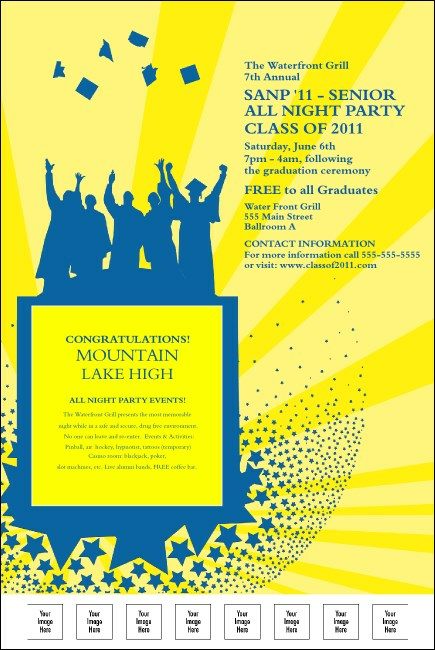 Make your grads happy with the Bright Ideas Graduation Poster. The perfect choice for a grad bash or open house, this poster template features twenty-five lines of custom text plus space to upload eight of your own custom images. TicketPrinting.com has the right promotional materials for every occasion.